Colorado Garden Foundation awards grants to organizations and scholarships to individuals throughout Colorado. Funding is derived from the Colorado Garden & Home Show and the Colorado Fall Home Show. This money supports horticultural and related activities throughout Colorado. Applications may request tree and plant material purchases, school landscape improvements, healing and community gardens, and educational and research programs with organizations throughout Colorado, while scholarships fund college students that are studying horticultural science and business, nursery management, turf grass management, landscape design or landscape management. Annual Grant Program - The organization supports horticulture and horticultural related projects and those groups that are involved or directly related. Education is emphasized. Areas of interest include horticultural-related research, education, therapy and community improvements. Major Grant Program - The organization supports horticulture and horticultural related projects and those groups and individuals that are involved or directly related. Capital and matching grants are the targeted projects, while other programs/projects for support and research will also be considered. Past recipients include Craig Hospital Therapy Garden, Colorado State University, City of Brighton, Colorado Mental Health Institute of Pueblo, Denver Botanic Gardens, Hudson Gardens, Vail Alpine Gardens. Grants are not awarded for plan development or design; salaries, administrative costs or other overhead. Funding is limited to nonprofit and government agencies in Colorado. Letters of interest were to be submitted by August 30, 2018. Selected applicants were then requested to submit complete details by October 31, 2018. A similar application cycle is anticipated annually. Annual Grant Program - Awards may be up to $15,000. 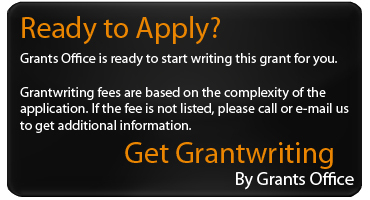 Major Grant Program - Awards may be up to $75,000.